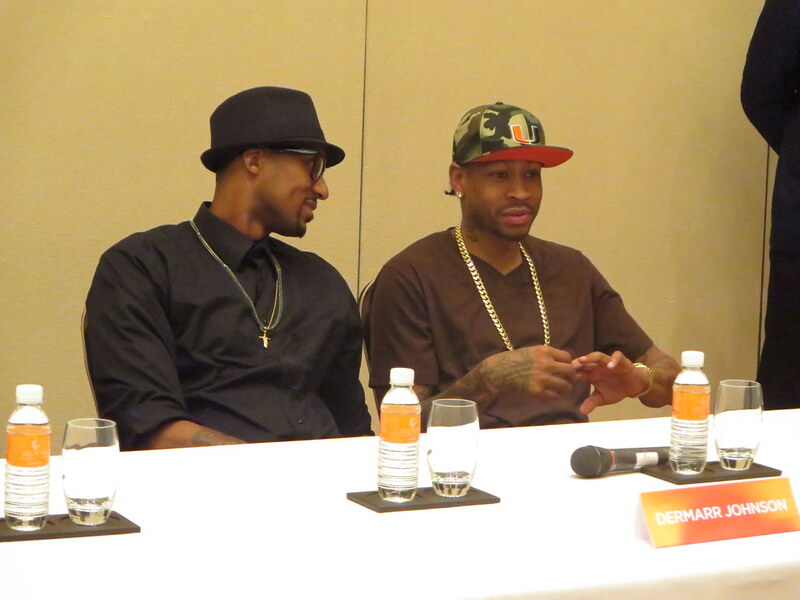 Some of you may have seen this photo of mine with Allen Iverson on my Facebook page or Instagram wall. 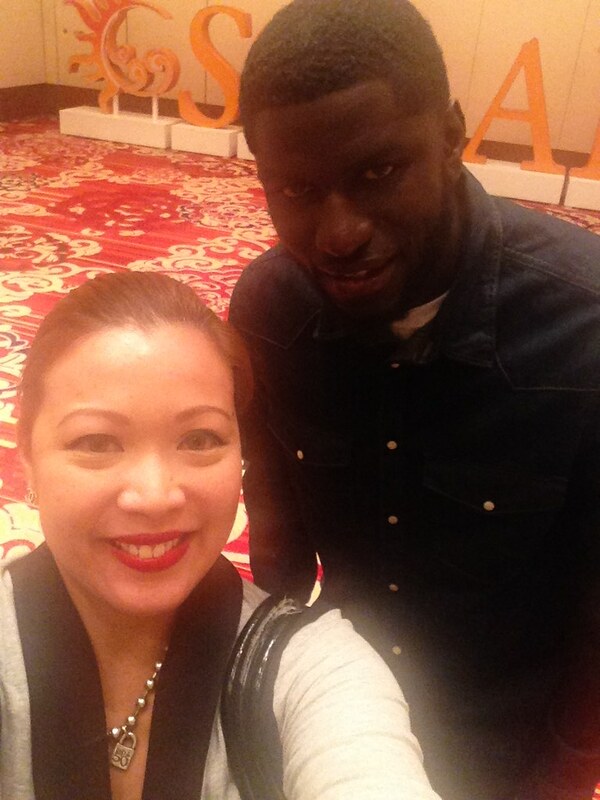 This was taken last night during a meet-and-greet with the former NBA player at Solaire Resort and Casino. 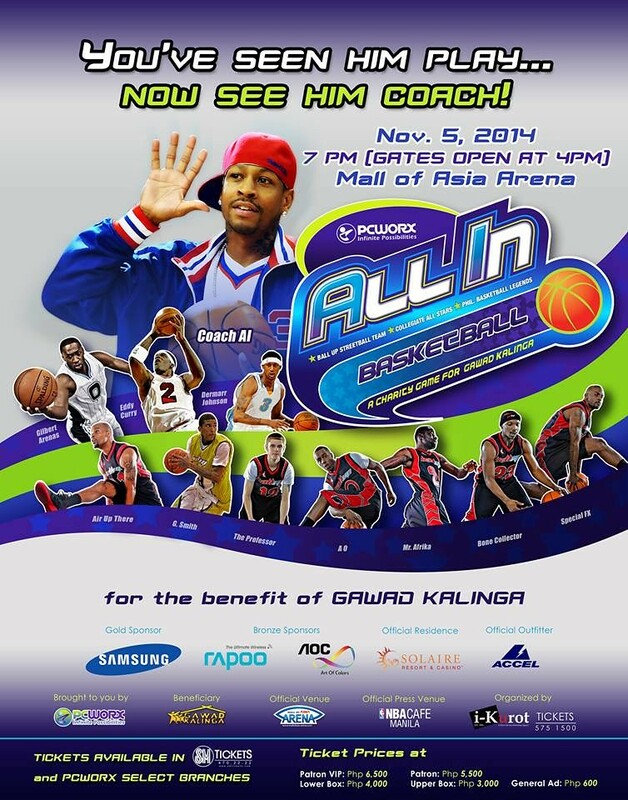 Iverson is here for "All In", a charity basketball game for the benefit of Gawad Kalinga. But this time, instead of playing, he will be coaching a team composed of the Ball Up Streetball All-Stars and current and former PBA players like Renren Ritualo, Jerry Codinera, and Willy Miller. 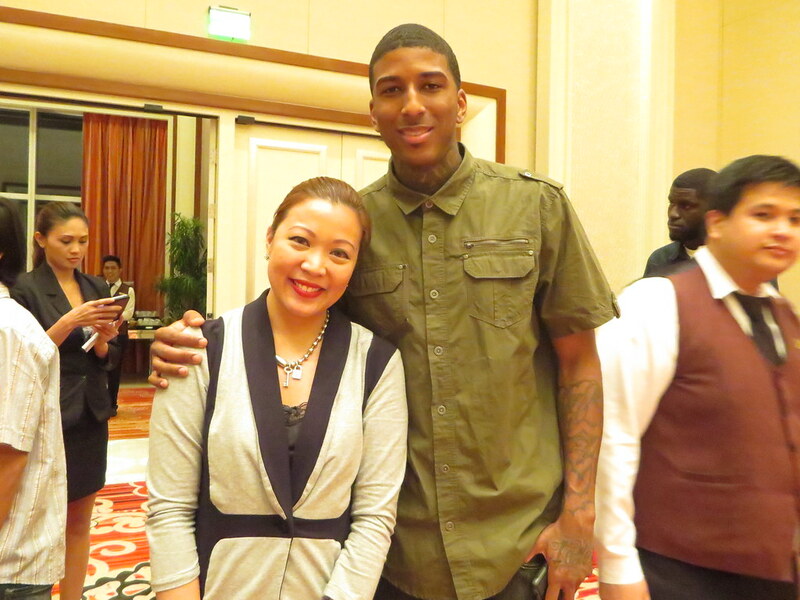 Also with him that night was Dermarr Johnson, a former PBA import who played for the Barako Bull Energy a while back. He will be on the opposing team with another former former NBA star Eddy Curry, and other UAAP and NCAA players like DLSU's Jeron Teng and ADMU's Kiefer Ravena. 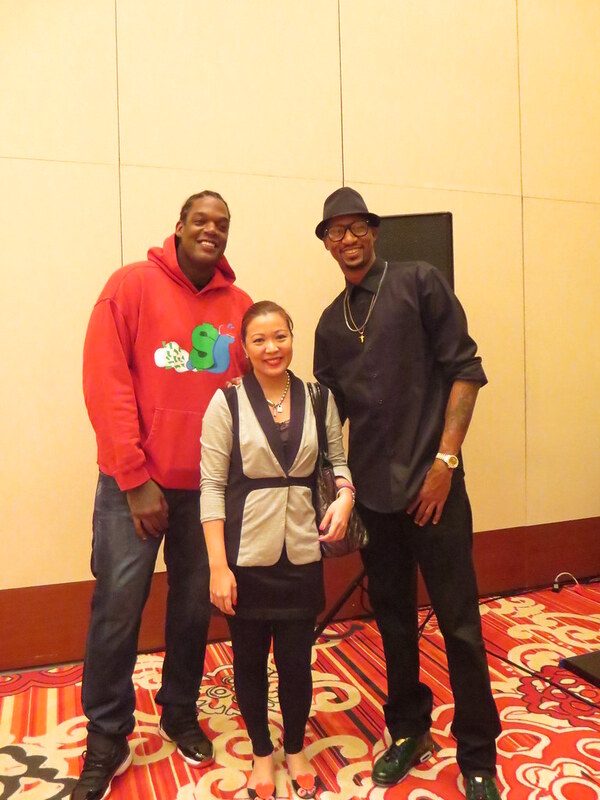 I'm about 5 foot 6 but these guys make me look small! All members of SM Advantage, SM Prestige, BDO Rewards, and Eplus Tap To Pay are entitled to a 20% discount on all price levels upon presentation of the card at the time of purchase. 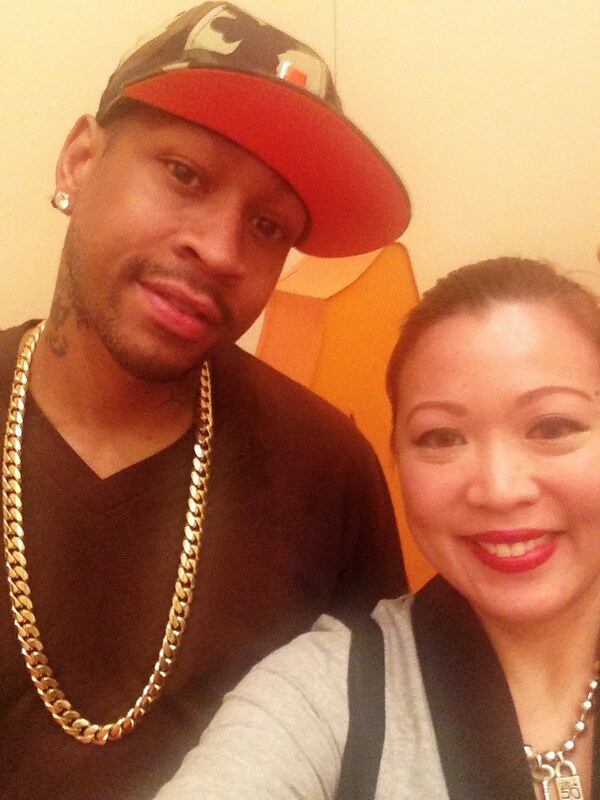 Thank you Divine, Lou, and Solaire Resort and Casino for this opportunity to meet Allen Iverson. To those watching, have fun at the game! Hole in the Wall in Century Mall Makati. The New Commercenter Alabang Cinemas. 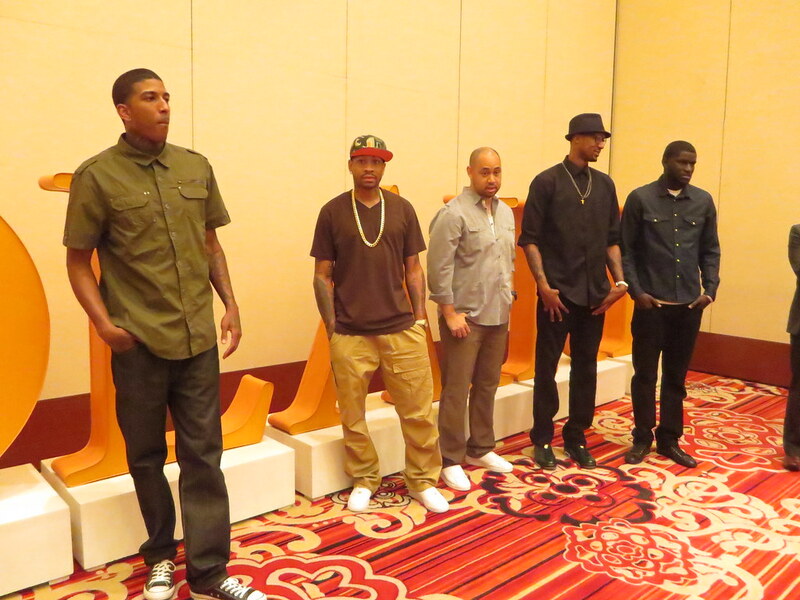 SuperModelMe Season 5 Returns to DIVA Universal. Under Armour Opens in SM Megamall! Recovery Food Now in Alabang! 12 Monkeys Music Hall & Pub at Century City Mall. MAC x The Simpsons Limited Edition Collection.